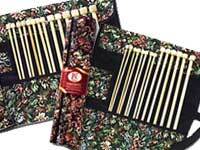 Bamboo Sisters are no longer available, please see our fabulous SWITCH interchangeable kit! to view a fabulous gift for the special knitter in YOUR life! If you're looking for a gift for your favorite knitter, we hope the tempations listed here will take you where you want to go! We've put many of them together ourselves - knowing that prefab is just not a good idea when it comes to knitters. 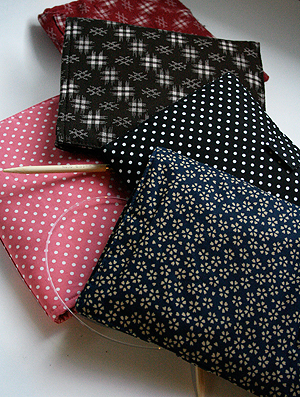 From the sock knitters SOX BOX, to the Luxury Knitters Pouch there's something for everyone. Our most popular items are the Knitters toolkit, the Luxury Knitting Gift Pouch and, also high on the list our the Amor de fio Stitch Markers and Moving Mud Shawlpins. The top seller, of course, our Fab gift certificate - either from us or via paypal, to be used whenever the urge hits. it can be sent by mail, or email, and is a great way to show your love - and give them a chance to pursue their favorite hobby - unabridged! 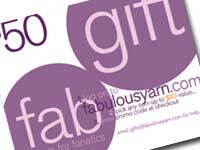 Anything can be a gift at FAB - just click MAKE IT A GIFT at Checkout, and we'll add gift wrap and a custom card for only $5.00! Our fabulous SOXBOX everything for the aspiring or experienced sock knitter - available in 4 fiber flavors! $38 &up. Luxury Knitting Gift Pouches in Silk, Mohair and Cashmere $75-135 The Ultimate Gift Certificate - good for anything at FAB Available in electronic form, too! 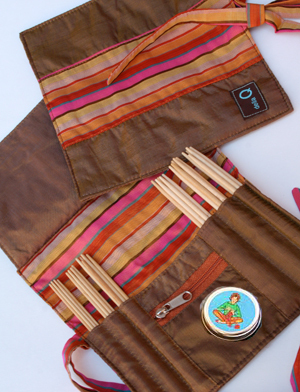 Needle Organizers- make your own gift! 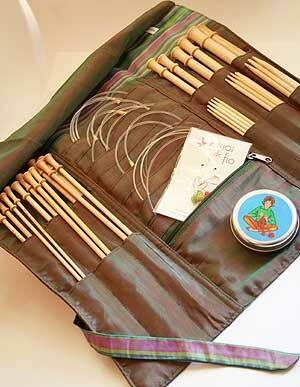 $38-130 Full Needle sets in floral organizer cases - in two needle lengths 9 & 13/14"
Gorgeous Knitting Gift Baskets$35-225 Pick a fab basket in Mohair, silk or cashmere, or build your own! Prices and sizes for any budget!